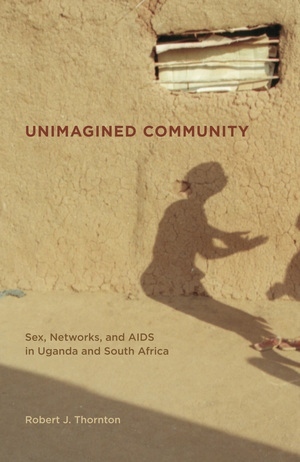 This groundbreaking work, with its unique anthropological approach, sheds new light on a central conundrum surrounding AIDS in Africa. Robert J. Thornton explores why HIV prevalence fell during the 1990s in Uganda despite that country's having one of Africa's highest fertility rates, while during the same period HIV prevalence rose in South Africa, the country with Africa's lowest fertility rate. Thornton finds that culturally and socially determined differences in the structure of sexual networks—rather than changes in individual behavior—were responsible for these radical differences in HIV prevalence. Incorporating such factors as property, mobility, social status, and political authority into our understanding of AIDS transmission, Thornton's analysis also suggests new avenues for fighting the disease worldwide. Robert J. Thornton is Professor of Anthropology at the University of Witwatersrand in South Africa and author of The Early Writings of Bronislaw Malinowski and Space, Time, and Culture among the Iraqw of Tanzania. His articles have appeared in Current Anthropology and American Ethnologist.